Meal - Cold Drinks, Hot Drinks, Minrul Water. Temple Sight-Seen Entrance Tickets And Padile Rickshaw, Marketing By Self. Nepal Visa ,Imigration And Border Costum By Self. Any Place Tourist Guide By Self. Pickup From Varanasi & Dep To Bhairahwa Nepal And Arr Bhairahwa After Arr. Transfer To Hotel. Over Night Bhairahwa. Dep.At 8 Am.After Breakfast To Lumbini And Arr. Lumbini At 9 Am. After Arr. Lumbini Sight Seeing By Padile Ricksha By Self And Then After Dep. At 2 Pm. To Bhairahwa Hotel. Over Night Bhairahwa. Dep At 8 Am. After Breafast To Kushinagar And Arr. Kushinagar At 12 Am. After Arr. 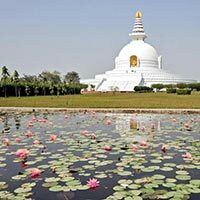 Transfer To Hotel And Kushinagar Sight Seeing. Over Night Kushi Nagar. Dep. At 7 Am After breakfast To Patna And Arr. Patna At 5 Pm. After Arr. Transfer To Hotel. Over Night Patna. Dep.At 7 Am After Breakfast To Budhgaya And Arr. Budhgaya At 7 Pm. After Arr. Transfer To Hotel. Over Night Boudhgaya. Dep. At 9 Am After Breakfast Maha Buddhi Temple Sight Seeing By Walk And Back Hotel. Over Night Boudhgaya. Dep At 8 Am After Breakfast To Varanasi Sarnath And Arr.Varanasi At 5 Pm. After Arr. Transfer To Hotel. Over Night Varanasi. Dep. At 7 Am. 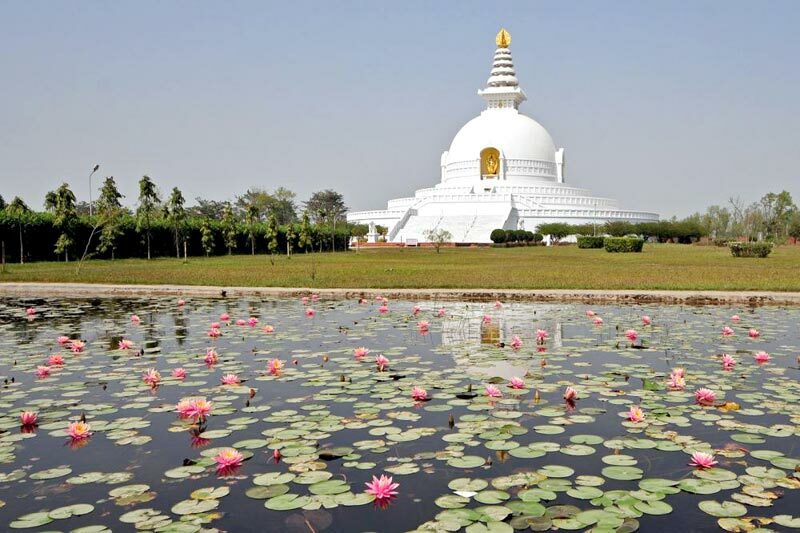 After Breakfast To Sarnath Boudh Temple Sight Seeing Fullday And Back Hotel. Over Night Varanasi. Check Out Hotel At 10 Am.And Transfer To Railway Station Or Varanasi Airport. Tour End.